With a great blend of rich contents Tres Leches flavor comes to life. 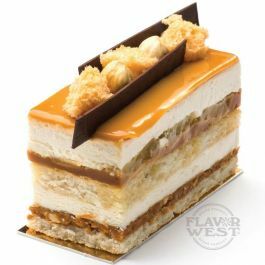 A very light and airy flavor that delivers a sweet creamy aroma and taste for all your favorite treats Type: Tres Leches Water soluble Flavoring. Usage Rate: 15-20% Ingredients: Natural and Artificial Flavoring, Ethanol and Propylene Glycol. Flavor suitability: Suitable for cookies, desserts, cakes, beverages and all other types of pastries. Specific Gravity: 1.02 No Refunds on Flavoring.